Hey wah-wah rocker fans! It's Craig here! My friend Brian from GC gave me a bunch of mini wahs to try out and get my opinion on. When I first looked at them, I laughed...they are so tiny! But as I started playing around with them, I was shocked how great they sounded - just like their full sized versions! Now, I am wondering.....why are we all lugging around full sized wahs when these mini versions do a fantastic job?! They take so much less space in my pedalboard and they still sound amazing. 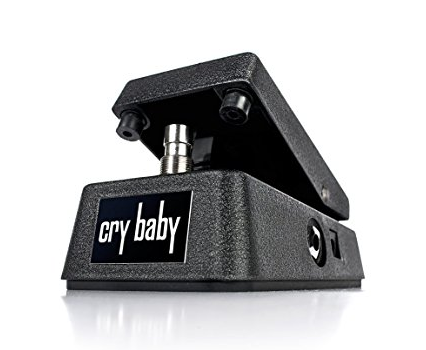 Ask any guitar player what the first wah pedal they ever bought was, and they will be likely to tell you that it was the Crybaby. Same great tone as the regular sized Cry Baby. Apparently, the first thing everyone notices when they look at this pedal is its size. When I first heard that this model was in production, it raised some questions in my mind. Will it still have the same quality? Will it have the same range in dynamics of its older cousins? Luckily, the Dunlop CBM95 Cry Baby Mini Wah answers both of those questions successfully. Includes a 3-voice selector. This is something that is not available on the regular sized version. It is important to note that the Mini Wah has the same Fasel inductor that the larger version has. The potentiometer is slightly smaller but sounds pretty much the same. The shell is just a smaller version of the big brother. The same materials and cuts are used in its design. They are just scaled down to fit the size of the mini version. Dunlop ensured that the smaller crybaby has the same durability as its predecessor. If you want to make more space on your pedalboard without losing any sound, this is the wah pedal for you. I think that the large version is better just because it is bigger. The small size makes it a little harder to use but not a deal breaker. 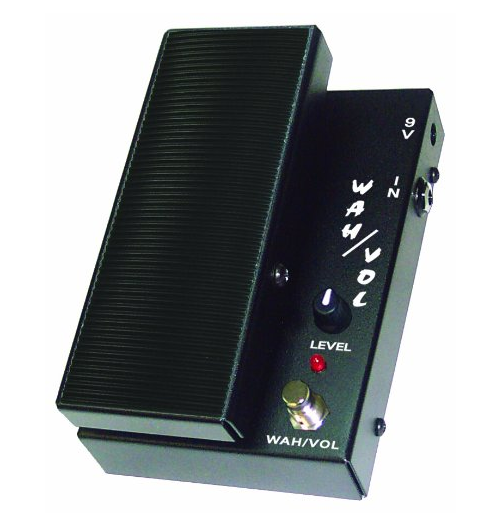 Capable of delivering both Volume functions and an excellent Wah response. This pedal is small in size, but do not let this fool you as its size has been very well compensated with powerful output capabilities. Powerful yet very easy to control. All you need to do when playing and you need to spice up the sound with a vocal sweep and harmonics is to simply press on the pedal when in Wah mode. The response in Wah mode is swift and based on the original Crybaby response. I was also impressed a lot by the Volume mode. This mode was designed in a way that ensures all the details of your sound are retained courtesy of its well-engineered active circuit. Also, an additional volume range control was added by its manufacturers for the Volume mode. This pedal performs exceptionally well as a volume pedal. Adjustable bottom value control range. It is very light in weight weighing less than 420g. 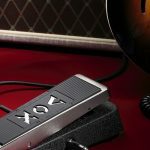 Since it is both a volume and wah pedal, in a live setting, there is a chance that you could fumble and not be in the right mode for what you want. There’s a lot to like about this pedal. First of all, if you think is going to be missing from its older brother, you’re wrong. I found that every feature of this pedal performed just as well as its larger counterpart. Technology is making it much easier for companies to get the same sound and craftsmanship in a smaller package these days. Its small size is a welcome thing from all bassists and guitarists that are trying to get as many pedals in their rig as possible without changing their tone too much. It also has a LED display to let you know which mode you are using. While, I did not experience this, some users claimed that it did change their tone enough that they noticed it even when turned off. This can truly give you that “wah” sound that is so necessary in Blues and certain types of Rock music. Very easy to handle. You can do a ton of wonderful things with all the power that you have at your fingertips with this system. Easy LED indicator. Great way to tell if it is on at a glance. Versatile enough to be used with either a guitar or bass. The effect that it gives is sweet and will have you fooling around with it for hours. The sweep of the wah is kind of narrow when comparing it with other pedals. 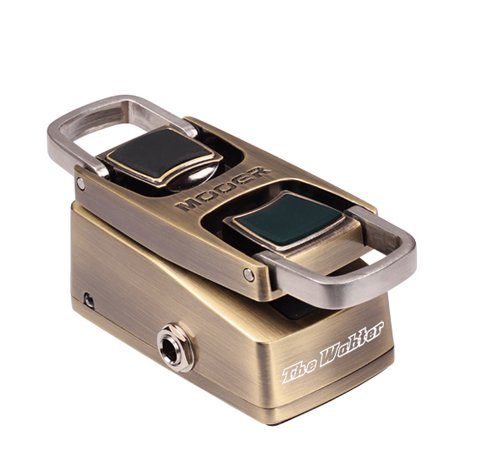 The first time you look at the Mooer Audio The Wahter Wah Pedal, you might be taken aback. It’s not a common effects unit when it comes to visual design. No more stomping around – This is certainly my favorite aspect of this device. Gone are the days when you had to stomp down to get your wah to activate. Thanks to the pressure sensor technology, the pedal can activate the wah function by the mere presence of your foot. If you don’t need or want this, the pedal can be converted to use the traditional method of activation. True Bypass – Wah pedals are classic offenders when it comes to adding unwanted noise to a signal chain while not in use. The Mooer Audio The Wahter Wah Pedal has advanced the bypass hardware in their effects units for this new generation. Sometimes true bypass isn’t always truly bypassing. This time, it is. On top of these two things, the tone in this pedal is very reminiscent of some of the classic auto-wah tones that guitar players have used in the past. I got close to achieving the classic Jerry Garcia filter envelope attack with it. There is a proprietary power adapter, but you can power it with any 9V adapter. I think that this one would need some individual testing to see if it is something that you like. It's a little more unique than others. I actually swapped out my full sized Crybaby with this bad boy! My only problem now is choosing which pedal I am going to add in the saved pedal board space! I actually think this one sounds a bit better then my original Crybaby because it has an extra voicing switch for more control. I got to admit, I was a little concerned with whether or not this would be hard to use due to the small size but it only took a few minutes to get used to. It's received a lot of comments from other guitarists too! Be prepared for a lot of "did you leave your wah in the dryer for too long and it shrunk" jokes! 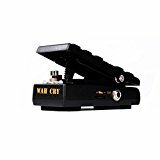 Dunlop CBM95 Cry Baby Mini Wah Classic Crybaby in a small package! 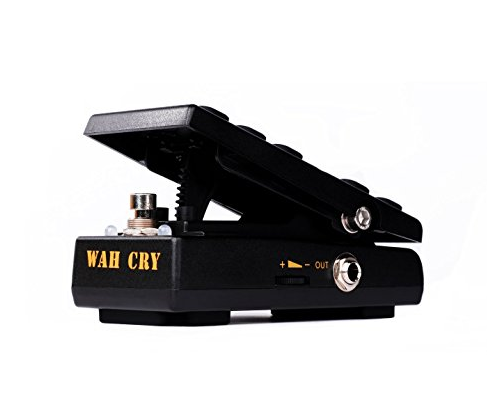 Donner Wah Cry 2 in 1 Mini Guitar Wah Effect/Volume Pedal True Bypass Get both wah and volume in a micro version. 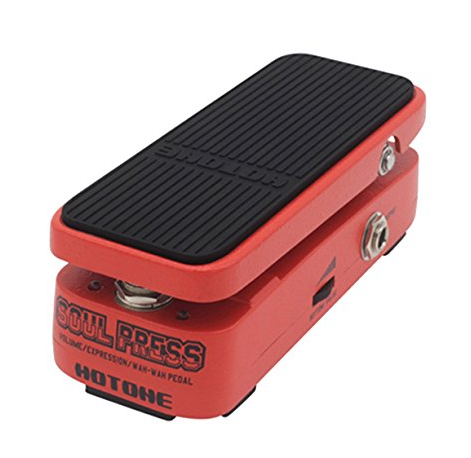 Hotone Soul Press 3 in 1 Mini Volume/Wah/Expression Effects Pedal Looking for an expression pedal too? Here it is. 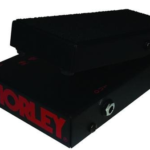 Morley MWV Mini Wah Volume Guitar Effects Pedal, Black Classic Morley wah in a small version. 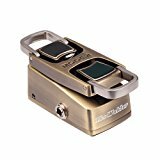 Mooer Audio The Wahter Wah Pedal Multi-Function Wah Effects Pedal WCW1 Includes pressure sensor technology. A wah pedal is meant to help guitar players add harmonic and multiplying effects to the sound of the guitar. While most of the effects pedals are bigger in size, many brands are now offering these to suit the varying needs of guitarists. These pedals are compact in size, perfect for pedal boards with crowded pedals and gigs with little stage room. However, the key lies in picking the right mini pedal that can generate amazing, innovative sounds as desired. If you wish to select the right compact pedal, follow the below considerations when looking for one. You will find a range of wah pedals in the market. While the availability of a vast range of pedals allows access to multiple models, it makes your selection really difficult. You ought to act diligently in view of the below tips to pick an ideal mini effects pedal. While you will come across many pedal vendors, all of them are not really worth considering. Certain vendors are offering duplicate or inferior quality pedals. You will only waste your money and time if you buy mini pedals from such a vendor. It is best to explore reliable pedal vendors that offer high quality products. Although branded mini pedals may come with a higher price tag, the price is worth the quality for creating innovative music. Once you have enlisted the names of well known mini pedal vendors, scan reviews about these brands. Many guitarists share their views and feedback on particular effects pedals. As such, you get a good chance to check real time reviews posted by guitarists who have bought quality pedals. 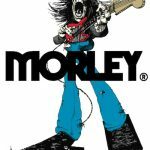 In accordance with reviews and testimonies, trim down your list to a few reputed brands that are highly supported and endorsed for better quality and reasonable pricing. Although mini pedals come in compact sizes, you need to pick the right sized pedal. This is even more important for portability and stage sizes. A compact sized pedal should fit perfectly in a small stage room without compromising the quality of sound effects. Of course, you don’t want to dent your wallet completely on buying high quality mini wah pedals. So be sure you compare the pricing policy of multiple vendors to cut down your purchase bill. Check the support, shipping as well as replacement and refund policy of each vendor in great detail. After examining multiple vendors, settle with the brand that offers top quality mini wah pedals in a budget friendly manner. Using a mini top wah pedal is a great way to amplify your music tenure. Available in compact sizes, mini effects pedals perfectly suit smaller stage rooms where space is a problem. However, you ought to pick the right pedal to make the most out of the instrument. 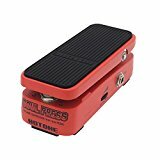 If you don’t know how to pick an ideal mini effects pedal, take into account the above considerations when looking for a mini wah pedal and you could bag the right pedal to enhance your music.